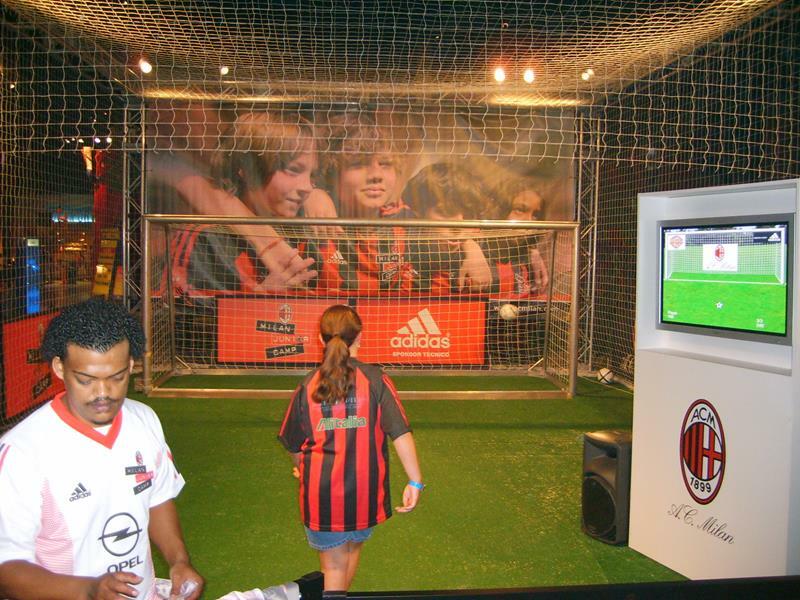 The player recognizes the targets on the game screen and attempts to hit the specific areas in the real goal. 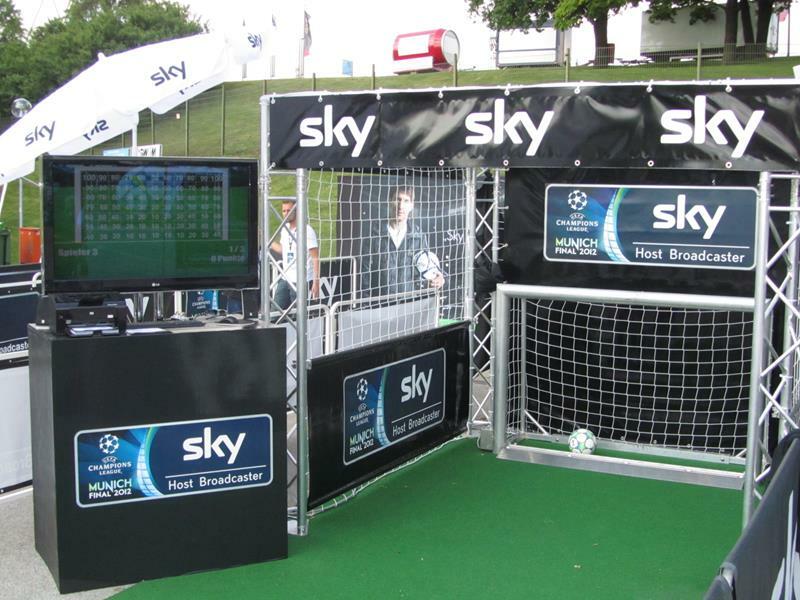 Fully customizable according to your event and target group. 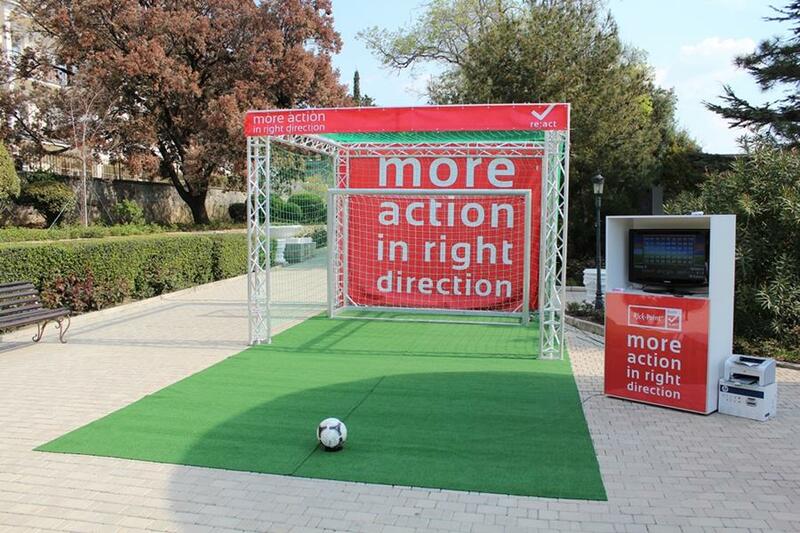 Kick-Point has now projected that good old shooting at a goal-wall into the 21st century. 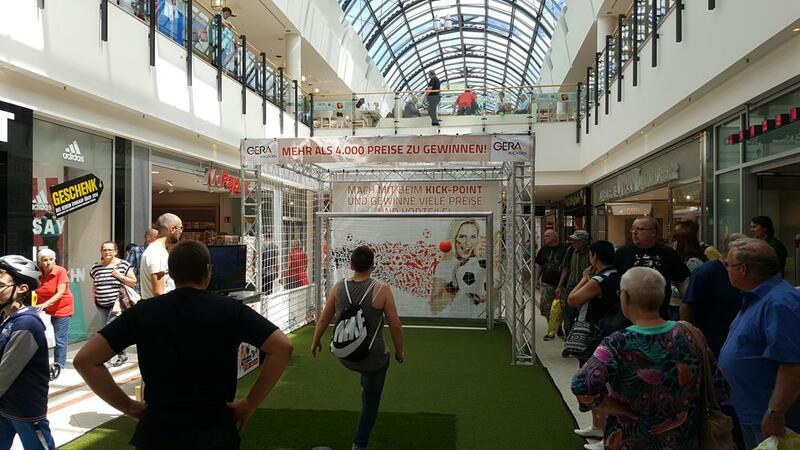 Placement, speed and soccer fun are the main features of the Kick-Point game idea. 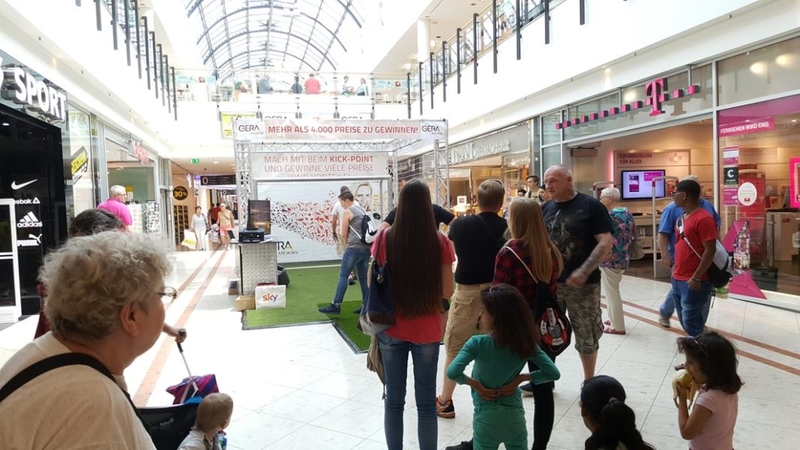 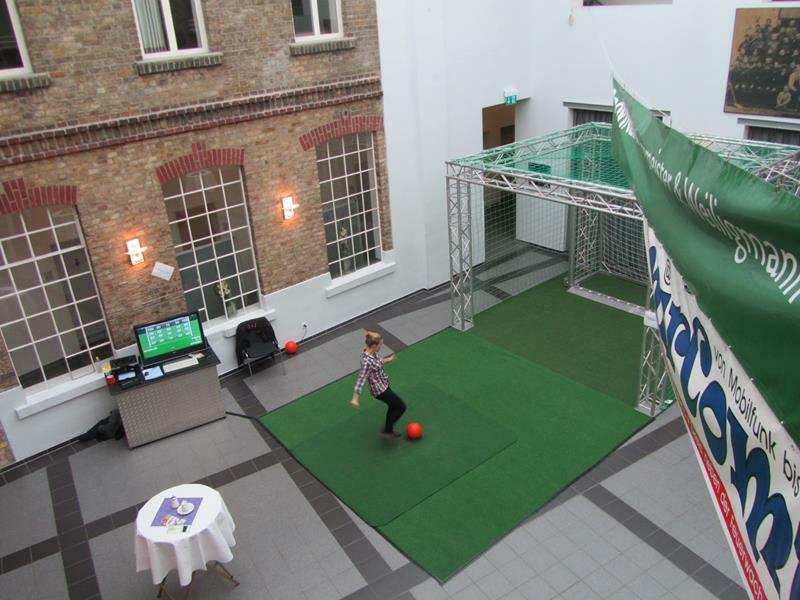 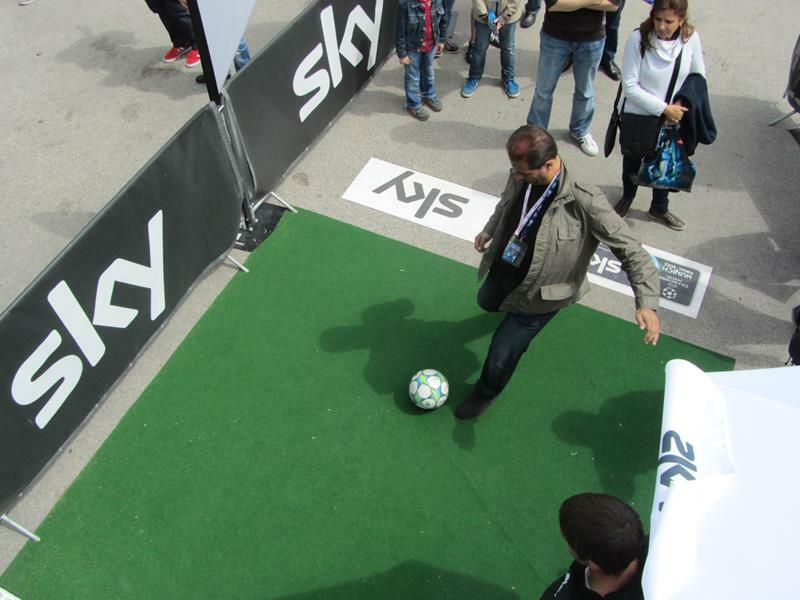 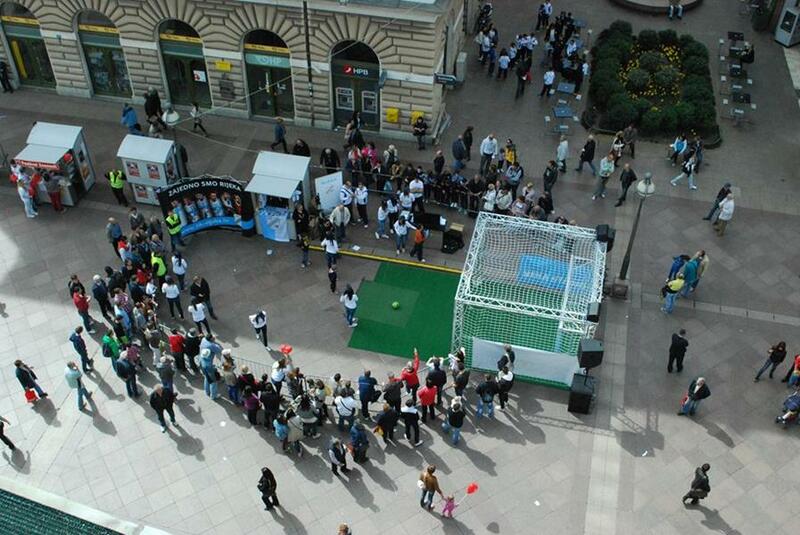 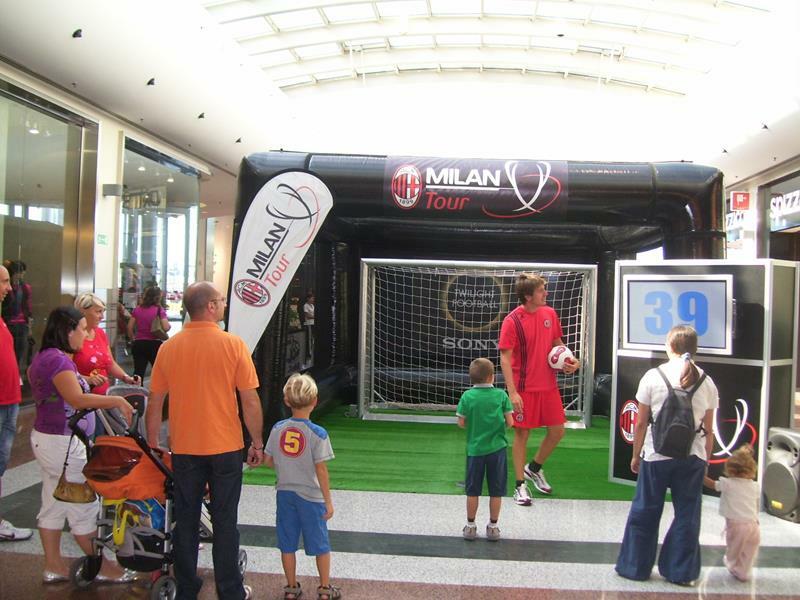 Whether the Kick-Point Electronic and Interactive Soccer Goal is used indoors or outdoors as a mobile event tool or as a fixed installation in soccer halls or amusement saloons or parks, it offers a wide range of variations (5 soccer goal sizes) of real fun for audiences of all ages. 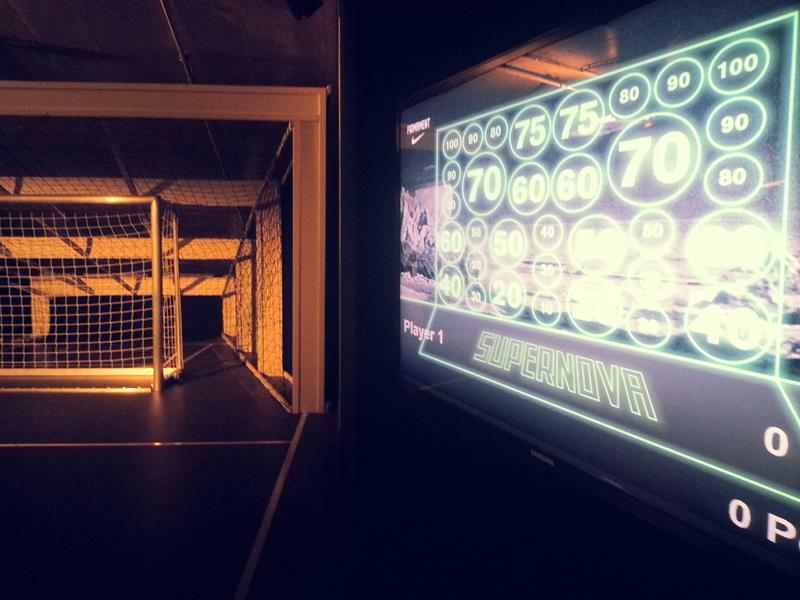 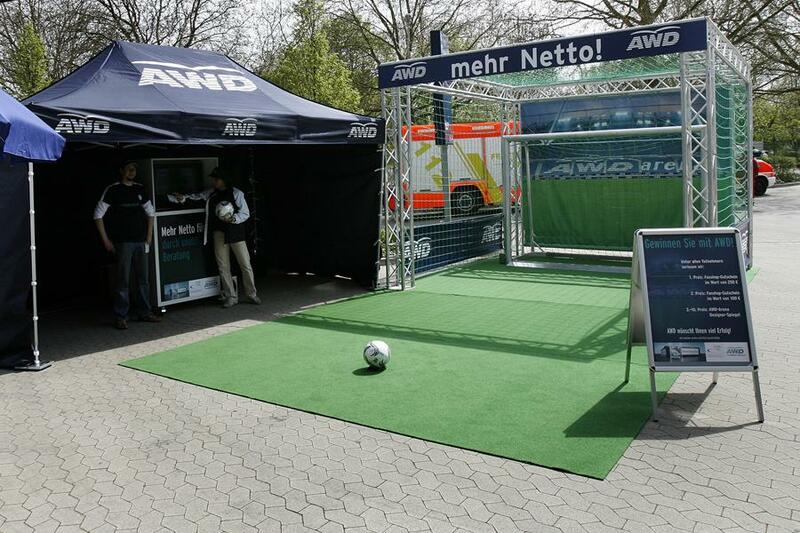 The display screen shows the player and the audience what section of the goal the ball should be aimed at. 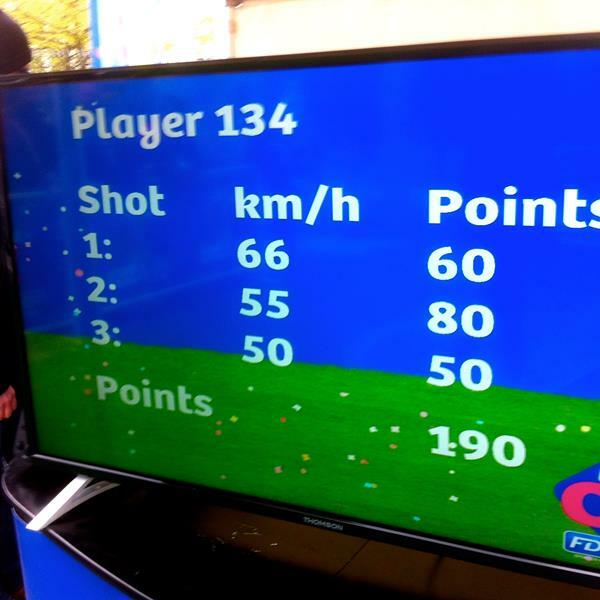 The game mode and appearance are customizable: graphics which the player must shoot down can consist of numbers, images or logos. 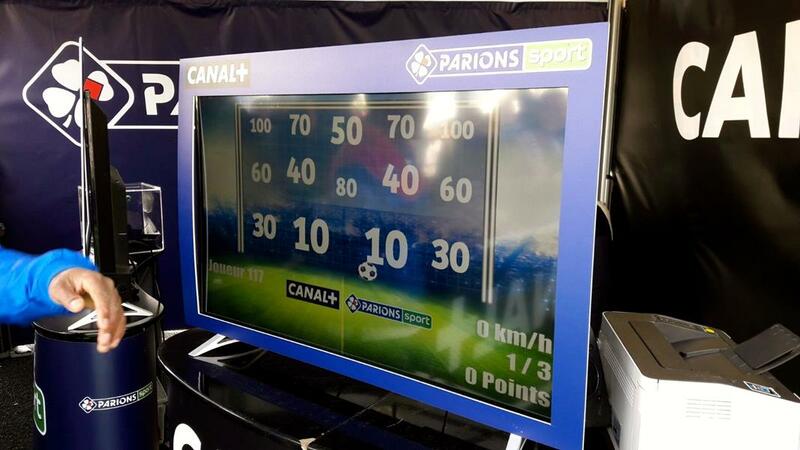 The graphics can be covered, uncovered, zoomed-in on, or allocated a quiz question. 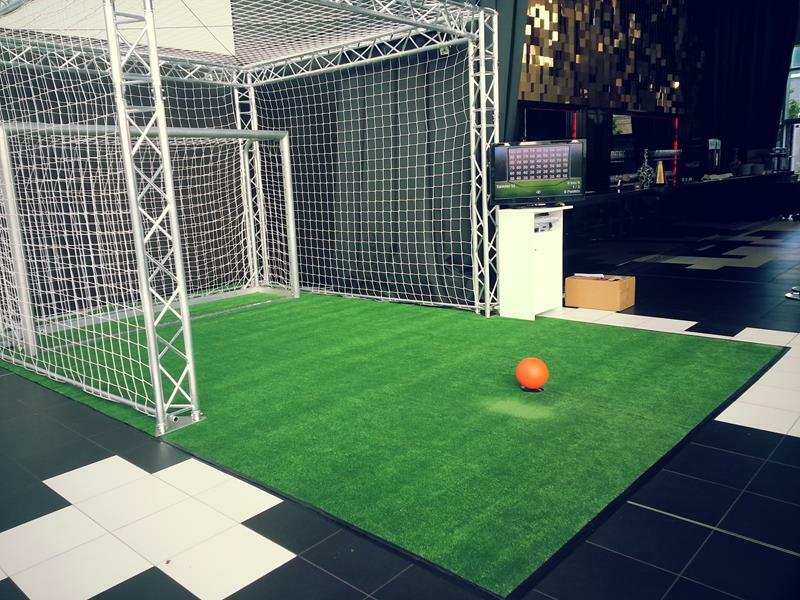 After the player has recognized the target on the display screen, the aim is to try and hit the relative graphic in the real goal. 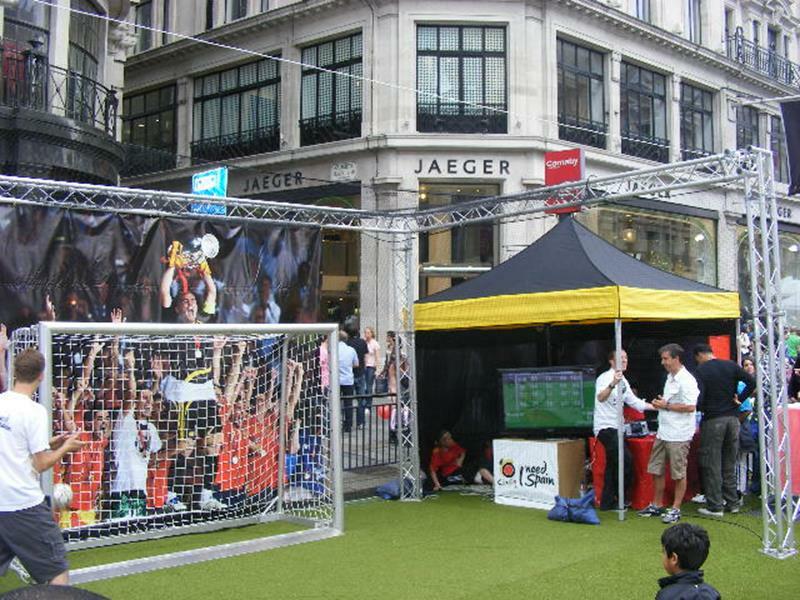 The player and the audience can see a replay of the shot displayed on the display screen after every success­ful shot at goal. 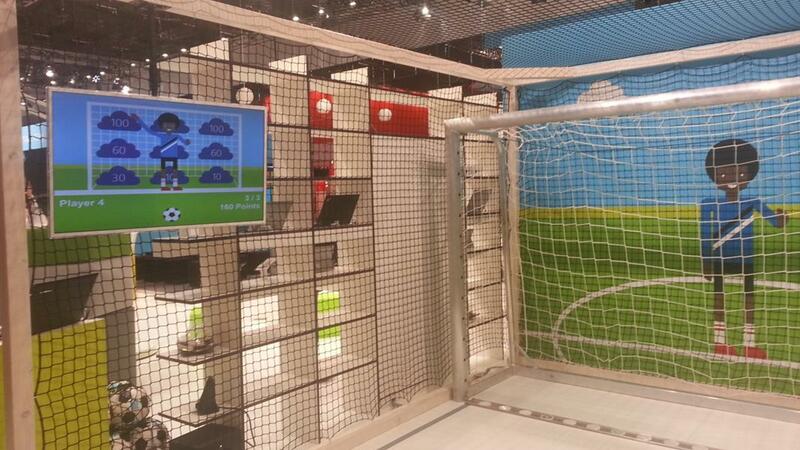 Sensors are installed in the goal frame can register the exact impact of the ball in the goal. 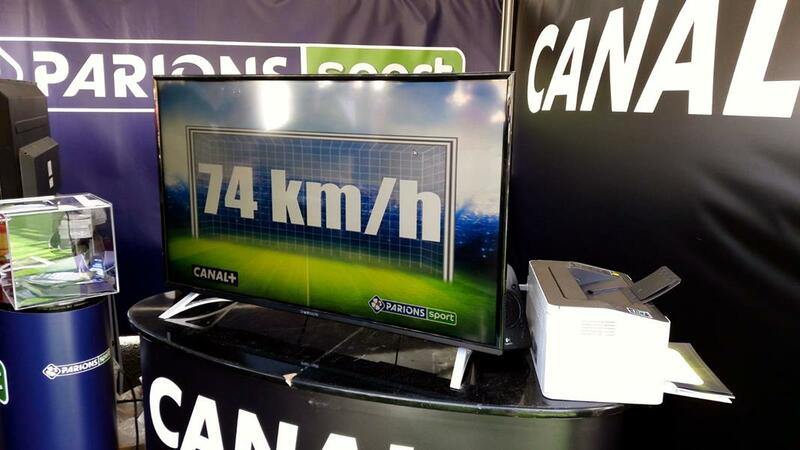 The sensors measure the speed and the actual placement of the shot. 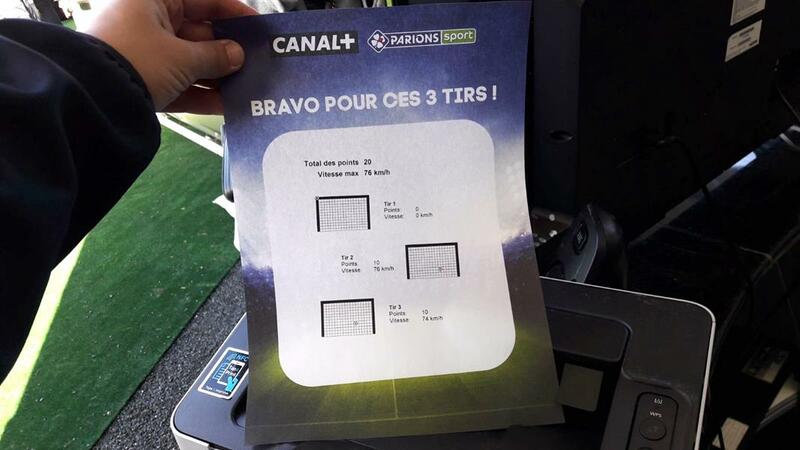 Every player receives a certificate at the end of the game, which shows the individual goal shooting data as well as information on the speed and placement of the shots. 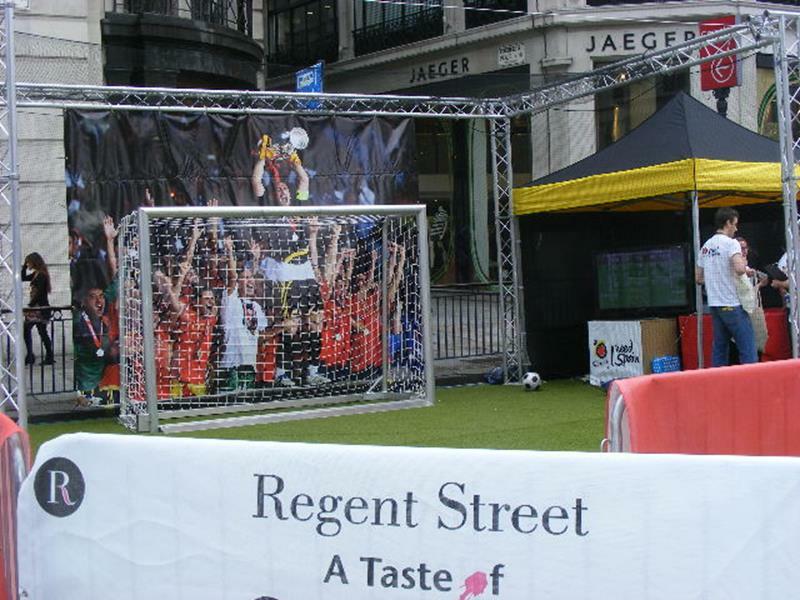 The certificates can be provided with sponsor logos or designed entirely using the customer’s corporate design. 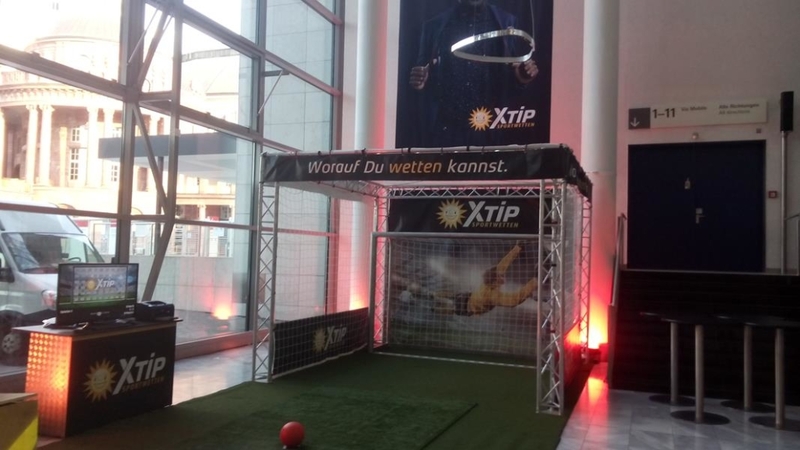 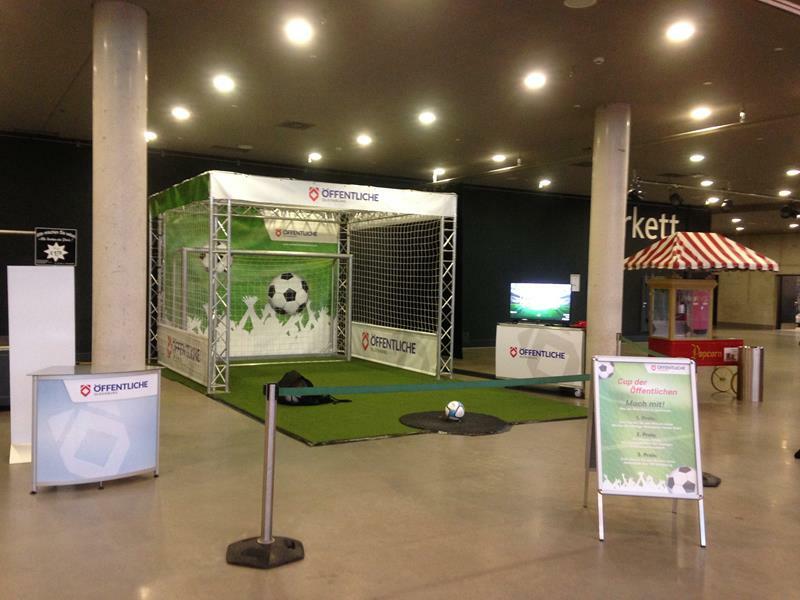 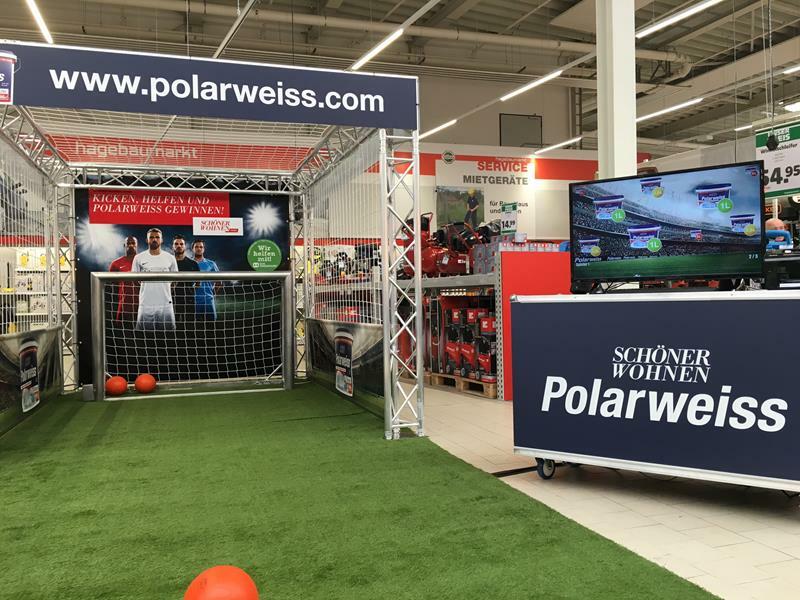 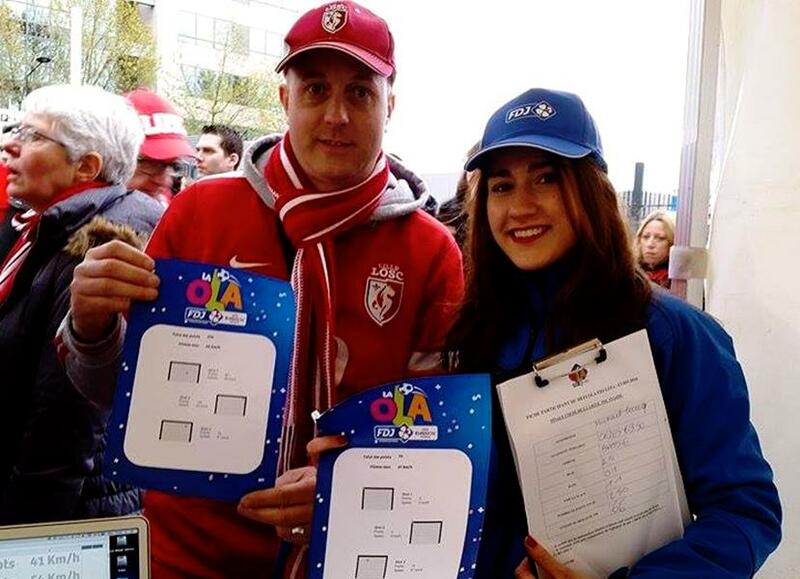 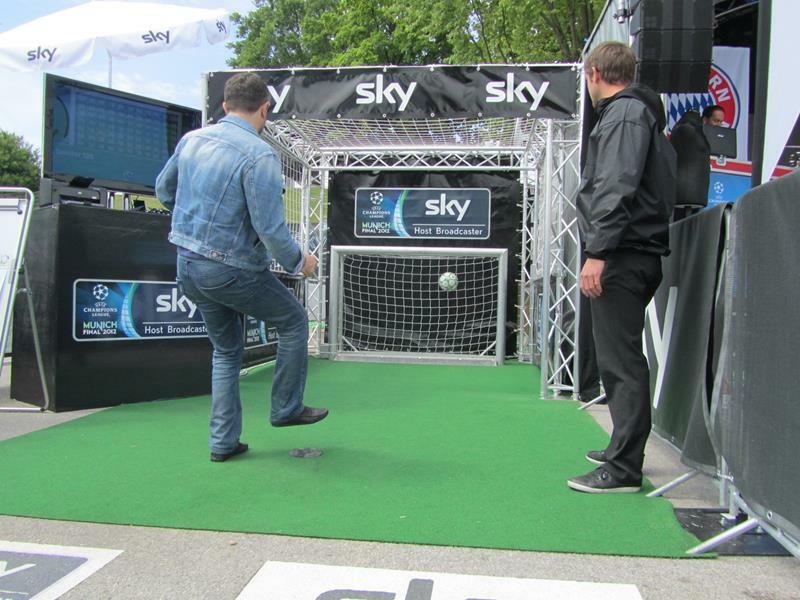 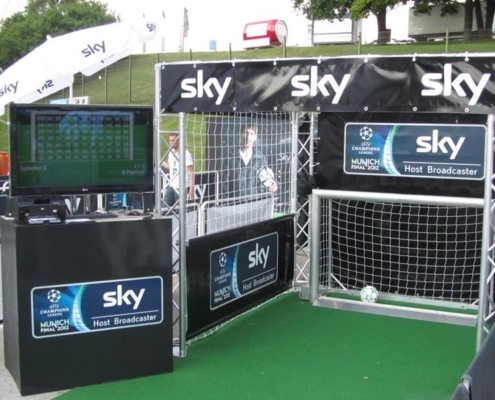 Large brands such as Coca-Cola, McDonalds or Sky TV, as well as international top soccer clubs and such AC Milan, Ajax Amsterdam, Bayern Munich have decided to use the Kick-Point Electronic Soccer Goal for their events and promotions and any other sponsoring activities. 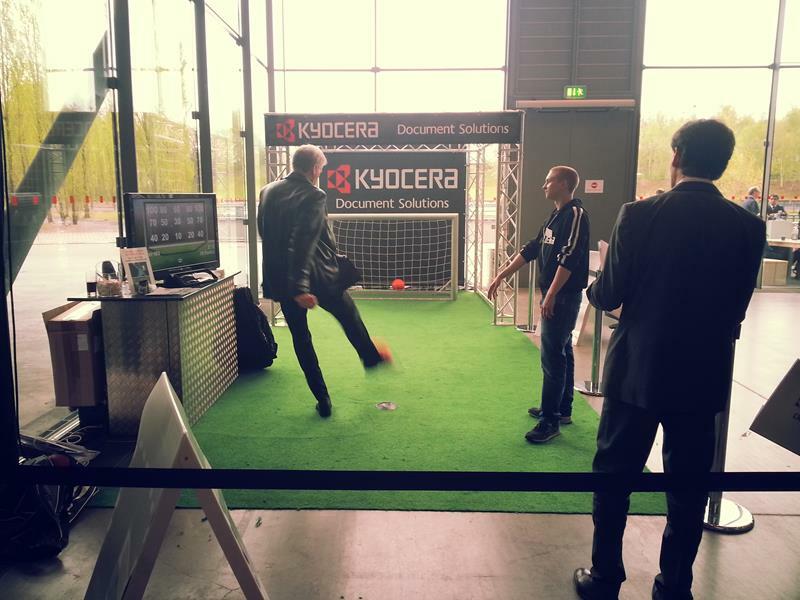 Our software provides different ways to export the players’ data. 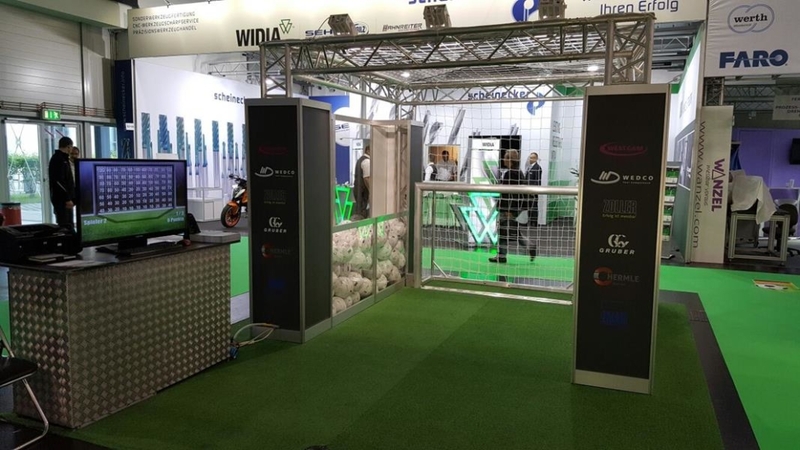 If you intend to create your own applications that only use our hardware for shot and speed detection, please contact us and we will provide you with all the information you need.